We started off the new year grateful for the generosity and support of our Lilly Family School of Philanthropy Board of Visitors (BOV), alumni, and friends. We welcomed our students to the start of a new semester with a popcorn social, and the spring semester commenced with a 13 percent increase in enrolled students with most of the increase happening in our online option within the graduate program. We are thrilled to be receiving so many referrals and expressions of interest in our education. Additionally, we heard the terrific news about Maureen and Jim Hackett’s transformative gift to create a Houston area mental health center. I joined Patrick Rooney, executive associate dean for academic programs, in a meeting with Michael Twyman, adjunct faculty member, to discuss diversity across the curriculum and his experience teaching courses on social justice to our students. We also hosted our second finalist for the Stead Family Chair in International Philanthropy who joined us on a very icy day having flown all the way from the University of St Andrews in Scotland. Additionally, we concluded our deliberations on the Melvin Simon Chair search. We very happily hosted our good colleagues from the Giving USA Foundation to review the past year and to prepare for the next issue of Giving USA, the indispensable annual review of financial giving in our country. Our second 30th Anniversary Speaker, Larry Kramer, president of the William and Flora Hewlett Foundation, met with faculty and students as well as a group of environmental funders who were convened by BOV member Stephanie Lawson. Larry’s talk on polarization in our country was a masterful diagnosis rooted in serious scholarship, informing a long term philanthropic strategy that the foundation calls the Madison Initiative. Furthermore, I had the privilege of hosting four excellent candidates for the deanship of the IU School of Social Work, which has been a terrific eye-opening process that I hope leads to more collaboration with our outstanding colleagues in social work. We also visited with colleagues at the J.P. Morgan office in Indianapolis to discuss possible collaboration, and we welcomed Carol Adelman, visiting research professor, to continue our work on the Indices of Global Philanthropy. 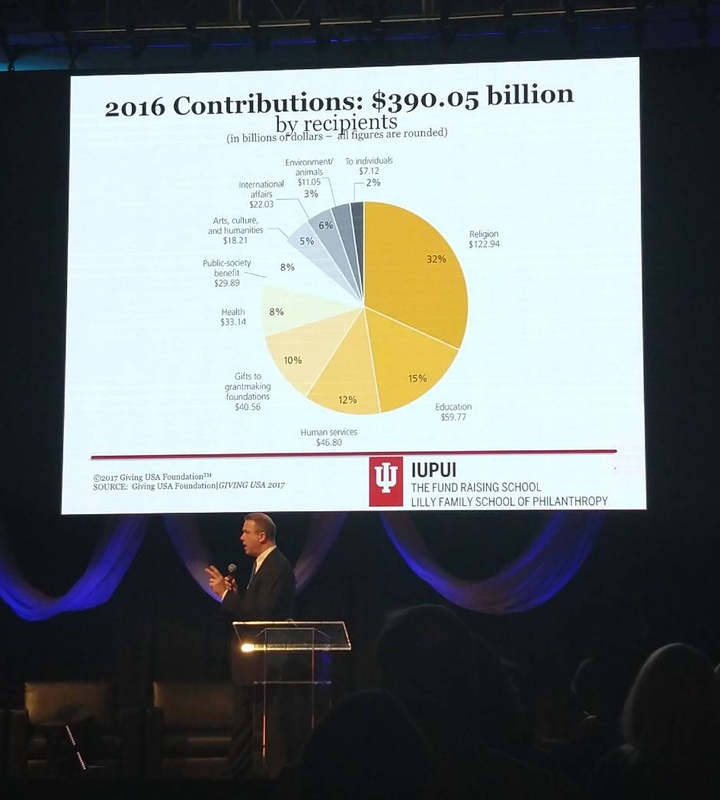 7, Amy Wax, Tocqueville Talk, IUPUI Campus Center 305, 12:00 – 1:00 p.m.
20, Philanthropy Research Workshop- Laurie Paarlberg, Robert H. and Judy L. Allen Professors, Bush School of Government and Public Service, Texas A&M and Lilly Family School of Philanthropy, IUPUI, "The Differential Effect of Minority and Network Status in the Grants Marketplace"
27, Philanthropy Research Workshop- Allen M. Omoto, Professor of Education & Psychology and Interim Dean, School of Educational Studies, Claremont Graduate University, "Community and Caring: The Psychology of Volunteerism and Activism"
IU Lilly Family School of Philanthropy’s Board of Visitors are invited to attend the 15th Annual Thomas H. Lake Lecture featuring Scott Harrison, founder and CEO of charity: water. Scott will help us explore the 21st century face of charity as well as share his unique story of rediscovering his lost faith that brought him face-to-face with the global water crisis. The event, hosted by St. Luke’s United Methodist Church is free and open to the public and will be on March 8, 2018. January 3-4—Student Services sponsored and exhibited at the 2018 AMI Nonprofit Leadership Alliance in Kansas City, Missouri. “A Conceptual Model of Foundations’ Leadership Capacity in Times of Change: Lessons From Egypt,” develops a conceptual model of philanthropic foundations’ capacity to lead change and applies it to the Egyptian “Arab Spring” case. This article is published at Nonprofit and Voluntary Sector Quarterly. 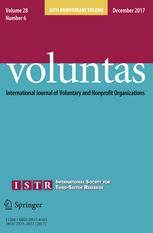 With co-author Mona Atia (The George Washington University), the second is entitled “Governing Through Patronage: The Rise of NGOs and the Fall of Civil Society in Palestine and Morocco.” This article, published in Voluntas, examines foreign aid and government funding to NGOs as forms of patronage and explores how such patronage depoliticizes NGOs’ work while undermining their role as change agents within civil society. 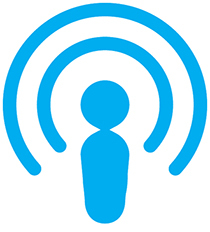 With a robust discussion of the new federal tax policy’s potential effects on charitable giving, The Fund Raising School has launched a new weekly podcast, “The First Day from The Fund Raising School.” A new podcast will be available each Monday via The Fund Raising School’s APP, web site, and LinkedIn page. The Fund Raising School hosted another stimulating Leadership Roundtable. Taught on the campus of the University of Miami (Florida), the Leadership Roundtable included new information about commercial donor advised funds, impact investing, and a forecast of fundraising over the next two years. This event, designed for experienced fundraisers with high levels of expertise, also included a half-day session on “the art of fundraising” – the soft skills needed for successful fundraising. The next Leadership Roundtable will be held in June in Indianapolis. The Fund Raising School Director, Bill Stanczykiewicz, provided training on high net worth, higher ed fundraising for major gift officers of Ben Gurion University of the Negev during their annual retreat near New York City. Bill also taught a pre-conference session on leadership and delivered a plenary session on charitable giving trends at the national conference of the Council of Christian Colleges and Universities. Women’s Philanthropy Institute (WPI) started off 2018 with travels to Naples, FL and Chicago, IL to share research about gender and philanthropy with two widely divergent groups. 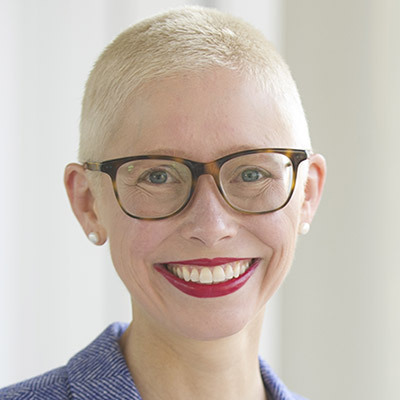 WPI Associate Director Andrea Pactor presented the keynote address at the Jewish Women’s Foundation of Metropolitan Chicago’s annual meeting and talked about the new giving circle research released last November. The month ended with release of a new study on giving to women and girls, one of the focus areas supported by the grant from the Bill & Melinda Gates Foundation. 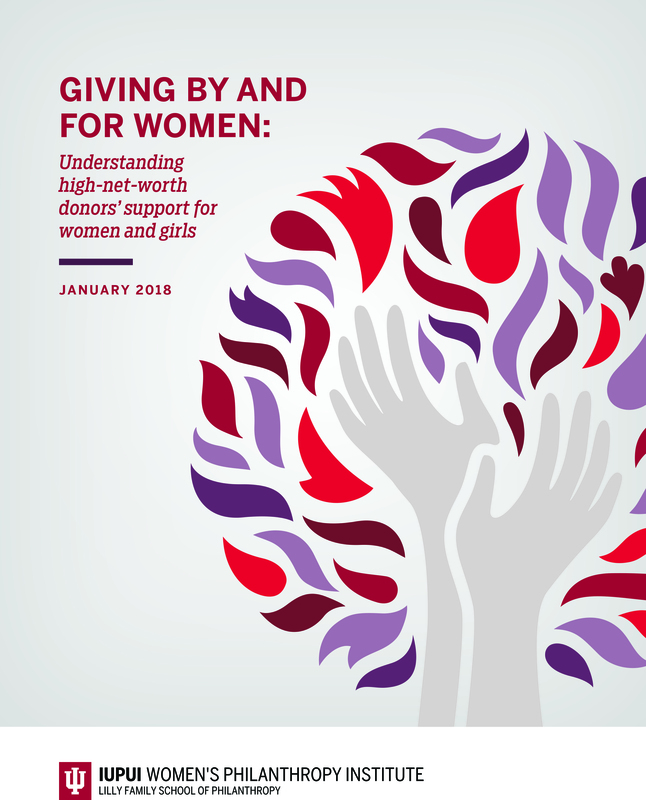 The qualitative study, Giving by and for Women: Understanding High-Net-Worth Donors’ Support for Women and Girls, was conducted by Elizabeth Dale, Ph.D. ’16, who now teaches at Seattle University. She interviewed 23 women, all of whom except one are members of Women Moving Millions. ﻿January 6—The final class of the Creating Congregational Cultures of Generosity two-part program led by Everence Financial was held in Phoenix, Arizona. January 13—The final of three Creating Congregational Cultures of Generosity classes for the Reformed Church of America was held in Three Bridges, New Jersey. January 13—Everence Financial led day one of a two-part Creating Congregational Cultures of Generosity program in Freeman, South Dakota. The second part will be held via webinar. January 27—Day one of a two-part hybrid Creating Congregational Cultures of Generosity program, led by Everence Financial was held in Chicago, Illinois. Part two will occur via webinar. January 16-17—The research department hosted the Giving USA Foundation leadership team for their annual planning meeting on methodology. The meeting was held at the Lilly Family School of Philanthropy office and included a reception at the Indiana University President’s office. The impact of tax reform on charitable giving was one of the main topics of discussion. The meeting was extremely productive and will help strengthen the Giving USA 2018 report. January 24—Una Osili, associate dean for research and international programs, was invited to present to the Johnson, Grossnickle and Associates (JGA) staff on the findings from the new JGA/BoardSource report on Philanthropy, Leadership and Board Engagement at their office in Greenwood, Indiana. 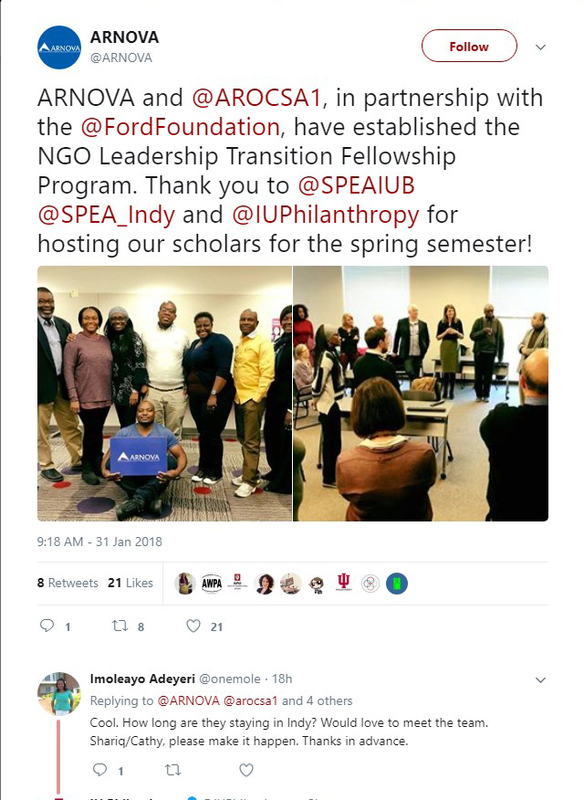 January 25— Una Osili, associate dean for research and international programs, was invited to present at The Fund Raising School’s Leadership Roundtable in Miami, Florida. She presently jointly with Phil Hills, president and CEO of Marts and Lundy, on The Philanthropy Outlook 2018-19 report. She also made a presentation on Impact Investing and Disaster Giving. January 29-31—The research and international programs staff hosted the ARNOVA NGO Leadership Transition Fellows for their orientation retreat. The school is partnering with IU’s School of Public and Environmental Affairs (SPEA) to host nine fellows from Africa for the spring semester. The retreat is designed to allow fellows to connect with faculty mentors and to allow the partners to learn more about the fellows and their research interests. Una Osili, associate dean for research and international programs, provided a welcome to the group. TheStreet.com cited our Philanthropy Panel Study/Generosity For Life research in an article about Millennials and charitable giving. 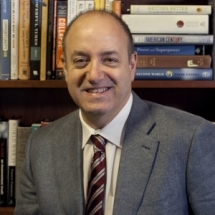 Research from the PPS also was included in a Philanthropy magazine article about Joel Fleishman’s book Putting Wealth to Work. The Impact Foundry highlighted GenerosityForLife.org. 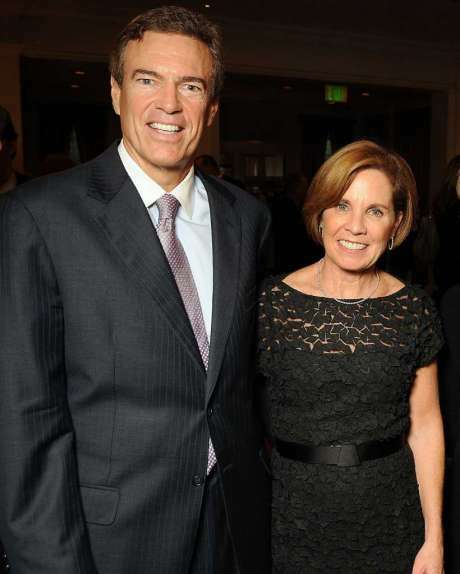 The Houston Chronicle, the Houston Business Journal and The Chronicle of Philanthropy reported on a generous gift from Jim and Maureen Hackett to create a regional mental health policy center in the Houston area. Maureen Hackett is a lifetime member and former chair of our Board of Visitors. 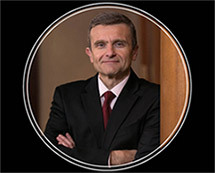 Bill Stanczykiewicz was quoted in an Indianapolis Business Journal story about the University of Notre Dame receiving six of the ten largest gifts made to Indiana nonprofits in 2017. 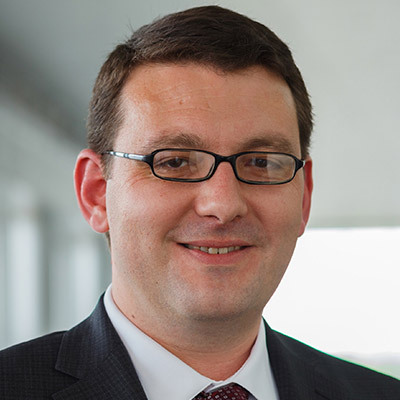 Bill Stanczykiewicz, David King and Les Lenkowsky were quoted in an Indianapolis Business Journal article about how central Indiana nonprofits are preparing to address the possible effects of tax reform on charitable giving. Our analysis of the potential impact of tax reform on charitable giving continues to receive media coverage from coast to coast. National media outlets Politico and Governing magazine each included our research in articles on the issue. Additionally, the following regional media outlets cited the analysis: Arizona Republic, Austin American-Statesman, Bloomington (IL) Pantagraph, Columbia (MO) Daily Tribune, (Johnson County, IN,) Daily Journal, Gotham Gazette, The Indianapolis Star, Journal News (NY), Marin Independent Journal, Marion (OH) Star, Mennonite World View, Muncie (IN) Star Press, Reading (PA) Eagle, Tulsa World and Vail Daily. The National Catholic Register cited research from our 2016 U.S. Trust Study of High Net Worth Philanthropy in an article about the impact of the recently passed tax legislation. The Indianapolis Recorder published an article about a Martin Luther King, Jr., Day celebration that featured alumnus The Rev. Winterbourne LaPucelle Harrison-Jones, M.A. ’16, as the keynote speaker. An Indiana Daily Student story about the death of former National Endowment for the Humanities Chairman and former IU Trustee Bruce Cole quoted Les Lenkowsky. He also was quoted in a Capital Research Center article about the American Red Cross.